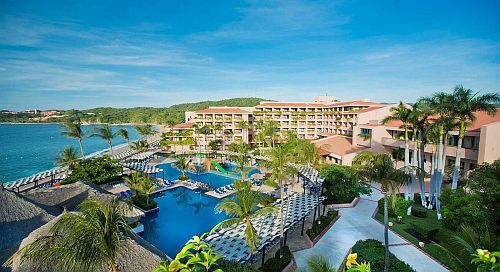 calgary, yyc, all inclusive deals, mexico, huatulco, hux, north america, sunwing vacations and barcelo huatulco. 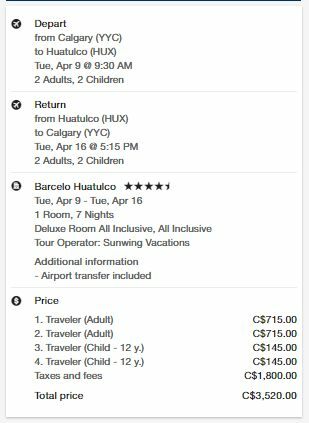 2 Responses to "1 Week All Inclusive Deal for Families: Calgary to 4.5* Barcelo Huatulco, Mexico - $880 CAD/person including taxes"
Thanks for the heads up on this - I didn't book this particular deal but booked a similar one with the same Sunwing deal/sale. Cheers! No problem RC, glad it helped!